Somehow almost an entire week passed between blog posts. It's very unlike me, I know. Last week shall forever be remembered as The Saga of Annelise's Twisted Ankle: A Drama in Five Acts. In a nutshell, she turned her ankle running up the back steps last Sunday afternoon. We iced it, elevated it, Motrined her and sat vigil. As you do. 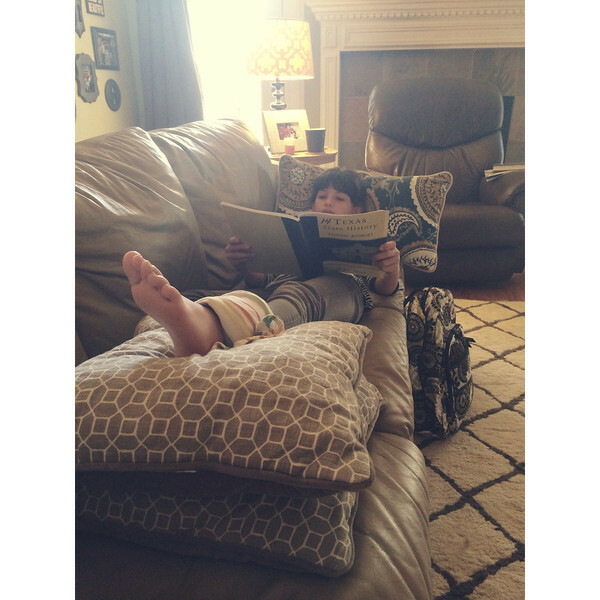 It was a little bruised but barely swollen the next morning so off to school she went, without the crutches she relentlessly begged for. Every day she negotiated going to the doctor for x-rays because she's never had them and thought they sounded fun. By Tuesday her ankle was not swollen or bruised but she continued to hop and lurch around for emphasis and sympathy until Friday when it became clear to her we were not going to the doctor after all. She then confessed how running in PE (even though she had a written excuse) must have loosened everything up and she declared herself healed. In other news, I've been cooking more and we've been eating almost all meals at home, except for the obligatory Tex-Mex excursion and lunch out after church (italian) over the weekend. I know that in most homes this would not be worthy of notice because it would be the norm, but that hasn't been our norm for, well, far too long. We had gotten in the habit of eating out or getting take-out way too often so it's been great getting back to more home cooked meals, not only for saving money but time. Scott's been happy about taking leftovers for lunch the next day which saves him money and clears them out faster so they're not left forgotten to slowly decay in the fridge. I've been a fan of soups lately because they usually only dirty up one pot. Last week I made Edie's broccoli cheese soup, which I thought was perfectly delicious and not just because I got carpal tunnel grating a whole mess of cheese for it. Scott and Annelise were only so-so about it, maybe because it's a creamier type soup without meat. I did add half a bag of frozen shredded hash browns to make give it a bit more oomph. Yesterday, I made this Skinny Crockpot Tortellini Soup, except I didn't use my crockpot, used full fat cream cheese because that's what I had and that's what tastes better, so it's not really skinny soup. I also added fresh sliced mushrooms and San Marzano style tomatoes. All three of us gave it our three spoons up approval! This one is called Cashmere Bathrobe, a grey with shimmery specks. I seem to be in the midst of a chocolate chip cookie baking spree. Every couple of days or once the we realize the jar is empty, whichever comes first. I'm only slightly embarrassed to admit that. 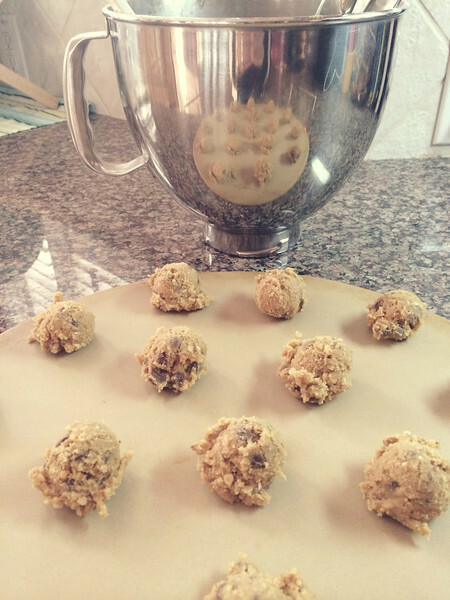 Currently, my go to recipe is the Toll-House bag classic, with milk chocolate chips, using only 1/2 cup sugar and adding vanilla instant pudding when you cream the butter and sugars and then adding 2/3 cup oatmeal with the dry ingredients. And if you listen to Johnny Cash while baking, that's even better. Here's my Johnny & Friends playlist, if you're interested. 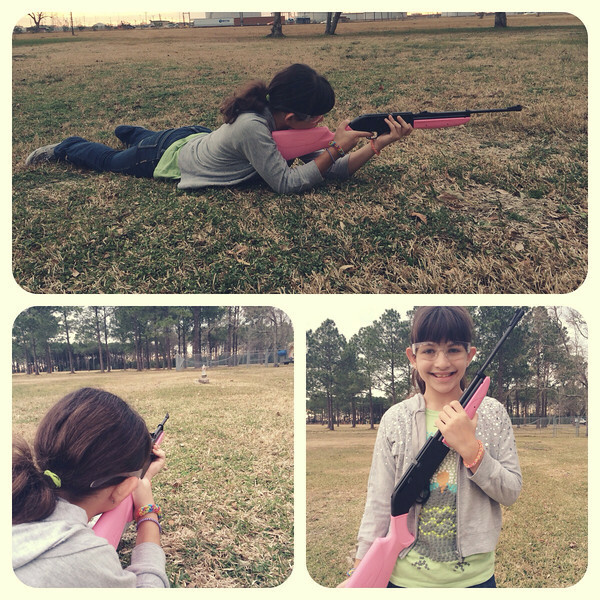 My girl and her BB gun. Finally, this has got my creep-o-meter revved up. 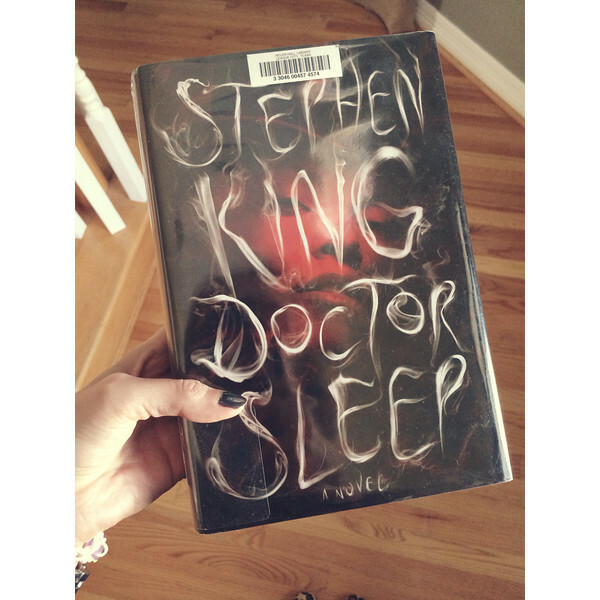 In a good way, as only Stephen King can. This is a follow-up to The Shining, which, you know, is one of his classic creepies. i LOVE the sprained ankle part! My brother had what we dubbed the "church leg". He missed one Sunday morning church because of a hurt knee and from then on, his injury would flair up every Saturday night! 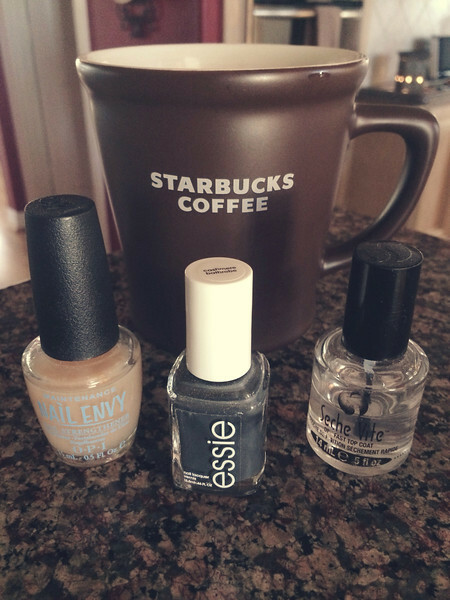 ;) Also, I LOVE the nail polish. I have a grey, but it's a little more purple, so I think I "NEED" a new grey color! HA!